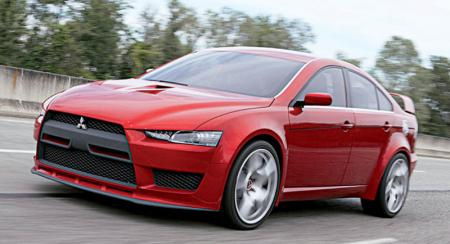 With brash styling, a new engine and great suspension the Mistubishi Lancer Evo-X is one of the most exciting sedans to hit the market in 2008. Part of that excitement is also the price. The base-level GSR will come in at $34,000 and come with 295-hp and 300-ft.lbs. of torque. While comparisons between the Evo-X and the Subura Impreza WRX STI will continue on for many our choice has been made.